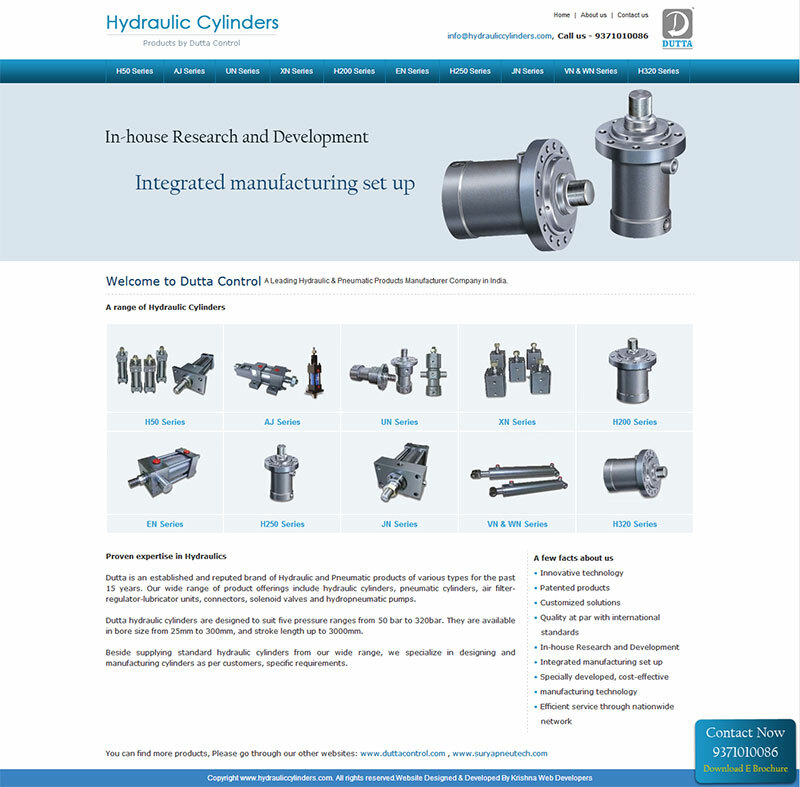 Hydraulic Cylinders is a Product based web site. Here one can find many pages giving in depth information regarding each hydraulic cylinder including their series ,Cylinder selection guide,Features and specifications,Ordering details,Mounting style. Hydraulic Cylinders a product by Dutta Control. Dutta hydraulic cylinders are designed to suit five pressure ranges from 50 bar to 320bar. They are available in bore size from 25mm to 300mm, and stroke length up to 3000mm.